Hi everyone. I have been receiving inquiries from many of you for ways to speed up a total knee replacement recuperation. Here is an updated article I wrote when going through the initial tkr rehab. The information still holds true today. Having your tkr surgery is only part of the process. 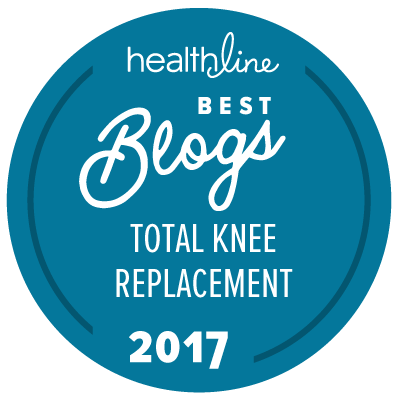 How you deal with the total knee replacement recuperation that allows you to effectively utilize use your new bionic knee is another segment. It, actually, is the hardest part. Only you can determine the extent of your success. Below are some ways I have noticed an improvement in my own total knee replacement recuperation. My knee is getting better every day because of them. They may work for you. 1. Become mobile as quick as possible. Every hour on the hour, get up and walk around. Your level of total knee replacement recuperation (and physical therapist) will determine whether you use a walking aide. 2. Do as much as you can for yourself. Do not rely on others when you can easily (or not that easily) do it yourself. You will only be hurting yourself. 3. Know that it will be painful. You cannot get around having pain after a major surgery. That’s common sense, but I was completely unprepared for the immense pain afterwards. 4. Take a pain med prior to your exercise. I find that 30-minutes beforehand works best for me. Taking the med takes the edge off of the discomfort you will feel during movements. Of course, your pain meds will decrease as time goes on and your level of recuperation increases. The sooner the better, I say. 5. Set a goal for your knee flexibility. Increase in small increments. Find a ‘hash mark’ on the floor that you want to stretch your foot to. Lift your leg farther than an earlier attempt. Your physical therapist can help with this. 6. Keep icing. After every total knee replacement recuperation exercise routine, I use a variety of icing methods. The best is a simple ice pack. You can buy them prepared or make your own. Simply put some ice cubes in a sealable plastic bag. Cover your knee with a towel before applying. I have also found that frozen peas & carrots work well. 7. Elevate. Keep your leg elevated when not exercising. This helps the healing process. Total knee replacement recuperation takes effort, determination, and perseverance. There were many times when, if looks could kill, my physical therapist wouldn’t be there. Hope this helps others going through the same thing. Good luck and keep at it! I am enjoying reading your blog. It looks like I will be having knee replacement surgery soon. Did you take handiwork or books to the hospital with you? I don’t want a lot of things to keep up with, but watching tv more than an hour drives me nuts.